4Thought Marketing can seamlessly integrate Eloqua into your SalesLogix environment. With a track record of dozens of successful integrations, for B2B and B2C companies, and even for companies that do both, you can be confident we’ll have you covered. Are your Eloqua to SalesLogix integration needs unique? 4Thought's 4Bridge™ Integration Engine™ for Eloqua can handle it! The 4Bridge™ Integration Engine™ understands and considers the quirks and the special features that SalesLogix has. It understands the strengths and the weaknesses of the SalesLogix data structure and can connect it with Eloqua in a way that makes both your marketing and sales departments pleased with the results. Track all of the above through to SalesLogix Lead Source tracking. 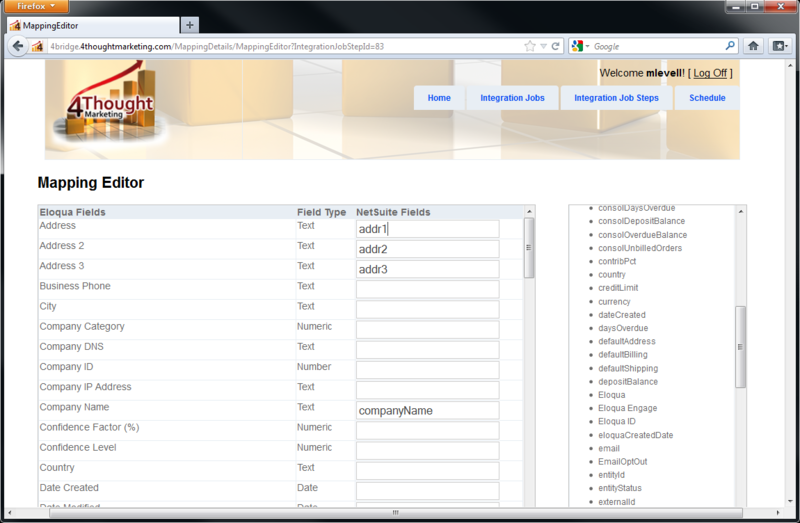 4Bridge™ includes a user interface that allows you to see and modify the field mapping between Eloqua and SalesLogix. Need to add a new SalesLogix and Eloqua custom field? 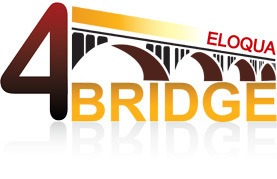 It will appear automatically in the 4Bridge™ Integration Engine™. Simply choose the custom field and save your mapping! Prefer to have someone else handle integration details? 4Thought can maintain and manage the integration for you on an ongoing basis. 4Bridge™ also includes a scheduler with a simple user interface that allows you to set when the data moves between the two systems to run as frequently or as infrequently as is appropriate for your situation. Want to change your schedule? It’s easy to do at any time. Want your integration to run on the cloud? Does your IT department prefer that all your systems run in-house? You’re in the driver’s seat and we’ll set you up the way that works best for you. Either way, 4Bridge™ for Eloqua runs reliably and will consistently pump data between Eloqua and SalesLogix. 4Thought Marketing monitors your data movement between Eloqua and SalesLogix… making sure data moves successfully and alerting us if there is any sort of hiccup. If something goes wrong, we’ll either fix it or call your IT department as you’ve requested, immediately. And of course, you can configure the integration to notify you directly as well, so you can stay on top of the daily success of lead flow. Specialists in products and services that optimize the Oracle Marketing Cloud.